Many people celebrated the news that Prince George's County was getting a new hospital, but after reading the fine print, County Council members are raising concerns. The deal included the county giving away land worth tens of millions of dollars. When the University of Maryland Medical System opens a new regional medical center in Largo, it will also take control of Laurel Regional Hospital and Bowie Hospital, but several Prince George’s County Council members say there were never told how far that control would go. Combined, the hospitals sit on almost 100 acres of valuable land. The county executive’s office said that land is part of what’s paying for the new medical center, which was approved for construction last month. “My assumption was always the bricks and mortar and whatever equipment was inside, when in fact, apparently, it meant the land as well,” Lehman said. Lehman is one four council members supporting a bill restricting what UMMS can and can’t do with the land, including what they are allowed to build on it. 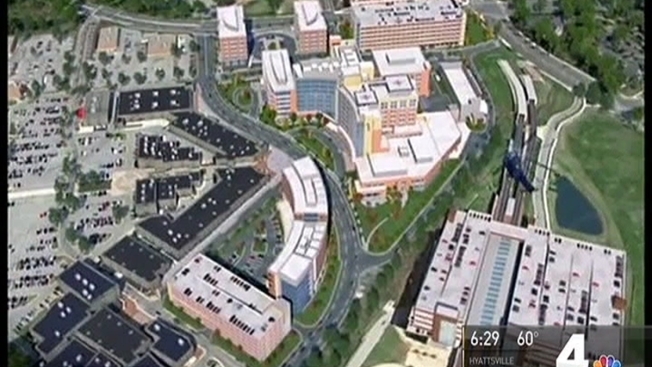 The county executive’s office is concerned the bill could affect the hospital deal. Part of the restrictions in the bill includes that medical facilities remain on the properties and that if UMMS decides to do something else with the properties, they use union and minority contractors to do it. The Prince George’s County Council votes on the bill Tuesday.